Fluffy and Floppy – Rabbits – Animal Numbers 34 (Fluffy), 35 (Floppy) – Arrival Date August 2018. Fluffy is a lovely girl who enjoys exploring. She is confident when she is running around but she will need time to settle in and get used to the humans around her. Floppy is a quiet girl who enjoys having a run around with Fluffy. She is a placid rabbit who just needs someone to spend some time with her to build her confidence. Fluffy and Floppy are a bonded pair who are looking for a home together. 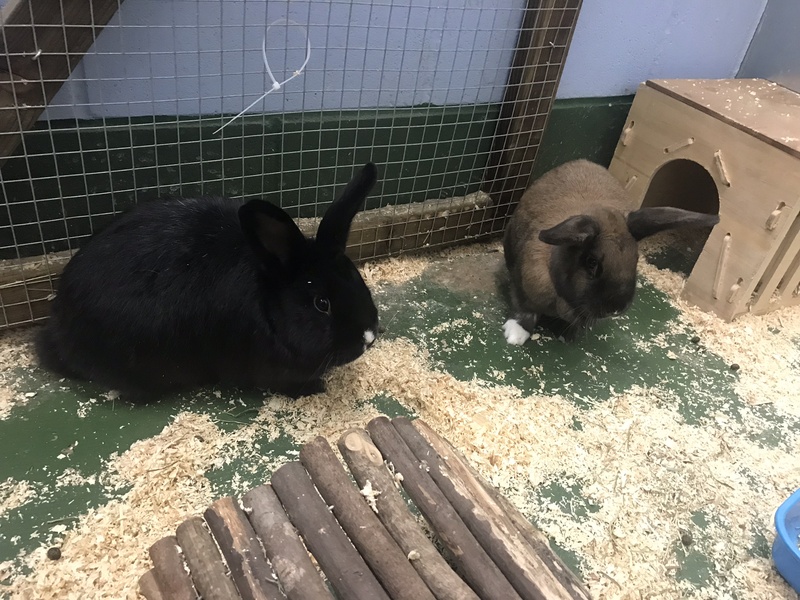 If you are interested in giving Fluffy & Floppy a loving home, call us on 0191 215 0435 and a member of the team will be happy to help.